WASHINGTON — Metro riders should expect a pair of track shutdowns plus a shuttle train experiment to interrupt their trip this long Labor Day weekend. Metro’s current repair zone is along the Blue Line between Franconia-Springfield and Van Dorn Street. Trains will continue to share a single track on weekdays through Sept. 9. Trains run from Franconia-Springfield every 24 minutes during the rush hour. Commuters trying to leave early for the Labor Day holiday weekend still have the option of express buses from the Pentagon beginning at 3:30 p.m. VRE or the Yellow Line to the Huntington Station are other alternatives. Remember, Metro closes at midnight now, even on weekends. The last trains in some cases leave around 11 p.m. The Blue Line will be shut down in two spots Saturday, Sunday and Monday. The Franconia-Springfield and Van Dorn Street Metro stations will be closed so crews can work on crossover tracks, where trains move from one track to the other. Problems there were identified during special inspections that followed the July derailment of a Silver Line train near East Falls Church. 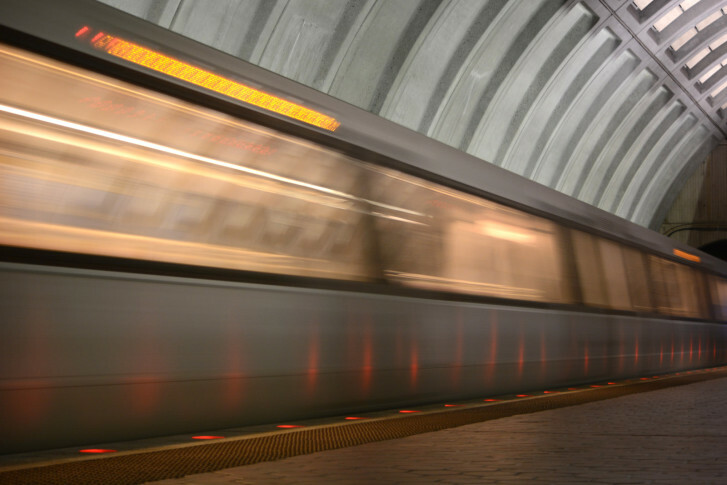 In D.C., repairs will shut down tracks between the Stadium-Armory and Benning Road stations. Blue Line trains are scheduled to run between Huntington (normally the end of the Yellow Line in Virginia) and Stadium-Armory, also between Benning Road and Largo Town Center every 15 minutes. Shuttle buses will run between the Benning Road and Stadium-Armory stations as well as between Franconia-Springfield, Van Dorn Street and Eisenhower Avenue stations. Silver Line trains will run between Wiehle-Reston East and Ballston all weekend. Riders traveling further east must transfer at Ballston or East Falls Church to the Orange Line. The Ballston Station is indoors, and could be the better spot to transfer. Orange Line tracks will be shut down Saturday, Sunday and Monday between the Stadium-Armory and Minnesota Avenue stations. Trains will run between Vienna and Stadium-Armory stations and between Minnesota Avenue and New Carrollton stations every 15 minutes. Shuttle buses will connect the two segments. Silver Line riders at the Largo Town Center end of the line in Prince George’s County will have to use Blue Line trains instead. Metro is trying out a shuttle train between Silver Spring and Glenmont this weekend to alleviate trains stacking up along the Red Line as they wait for trains coming the other direction to clear a single-tracking area. Trains are scheduled to run relatively normally between the Shady Grove and Silver Spring stations. But trains will turn around at Silver Spring rather than continuing on the through the single-tracking zone. Riders going to the Glenmont, Wheaton or Forest Glen stations will transfer at Silver Spring to a shuttle train that is scheduled to run every 20 minutes in either direction. Metro plans to use a similar shuttle to cut down on delays later this month during a rush-hour work zone on the Orange Line that is scheduled to last six consecutive weeks. That work between the Vienna and West Falls Church stations begins Sept. 15. The shuttle train will run every 24 minutes in that area between 5 a.m. and 10 p.m., compared to the normally scheduled rush-hour service of every 6 minutes. During the Orange Line work zone, additional weekend shutdowns are scheduled.